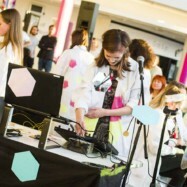 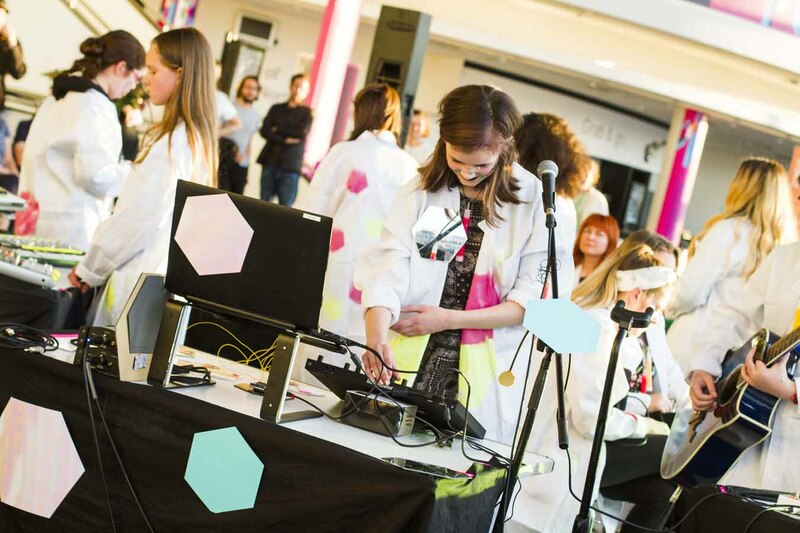 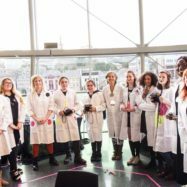 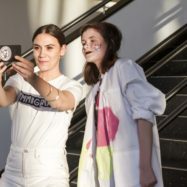 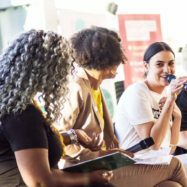 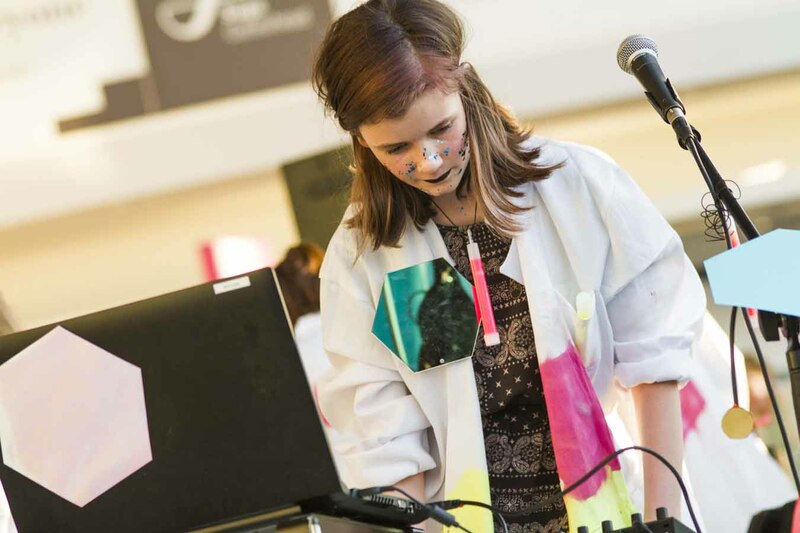 ‘Making Waves‘, our fourth event within The Hexagon Experiment on Friday 24 August, cast the spotlight onto young women aged 13-18. 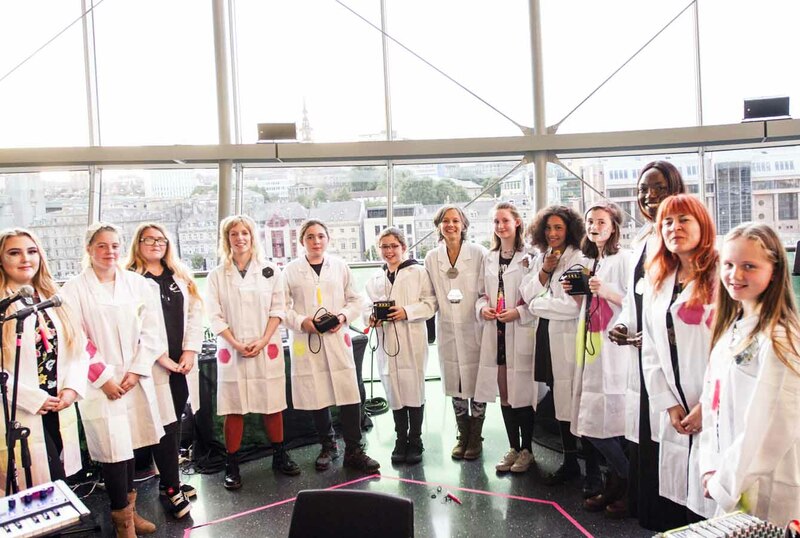 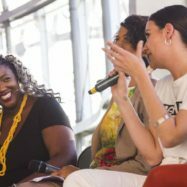 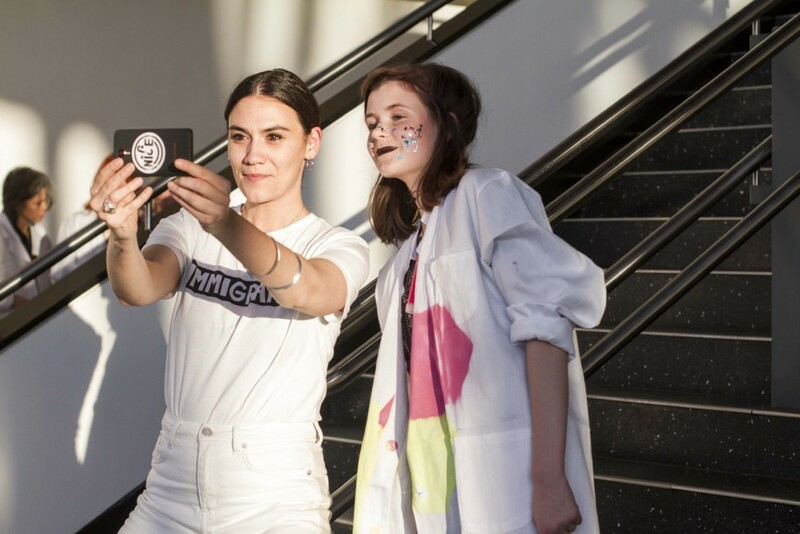 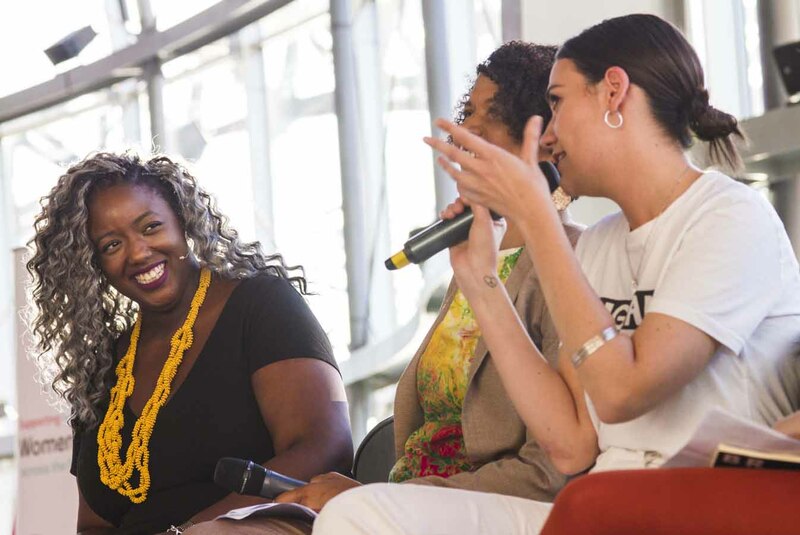 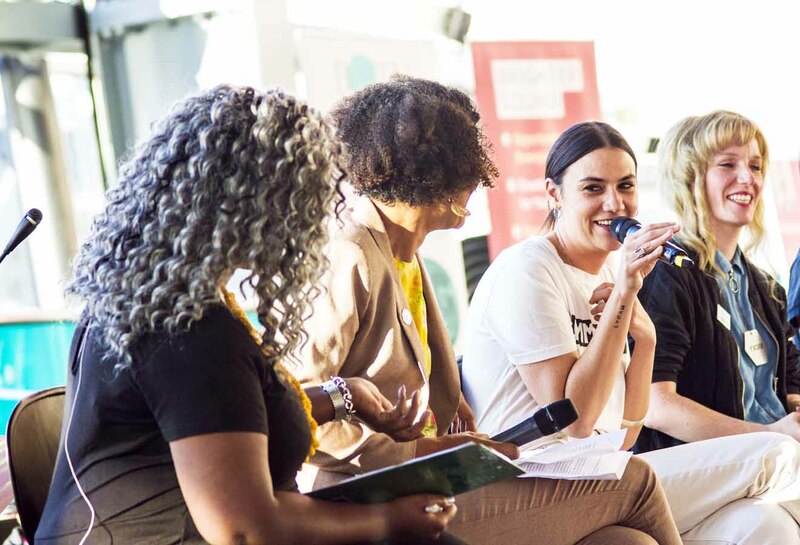 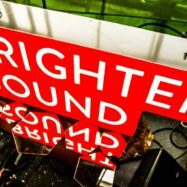 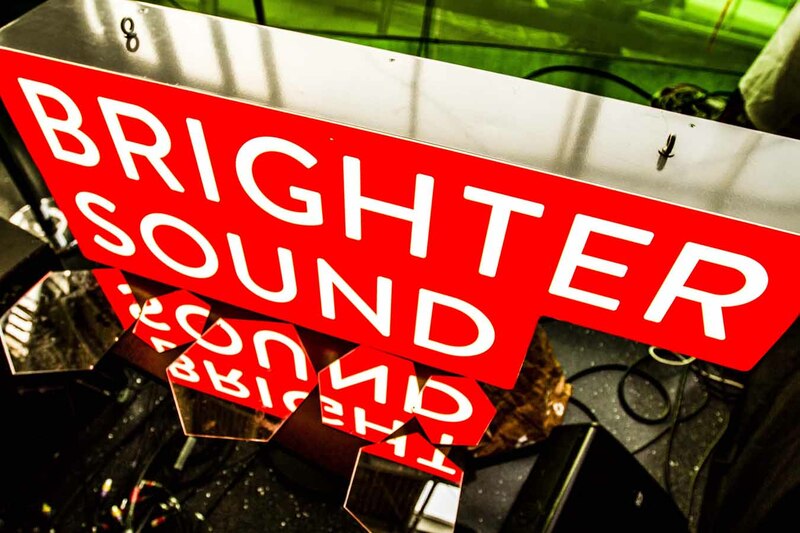 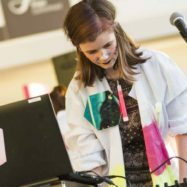 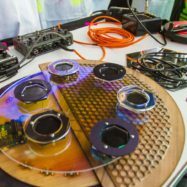 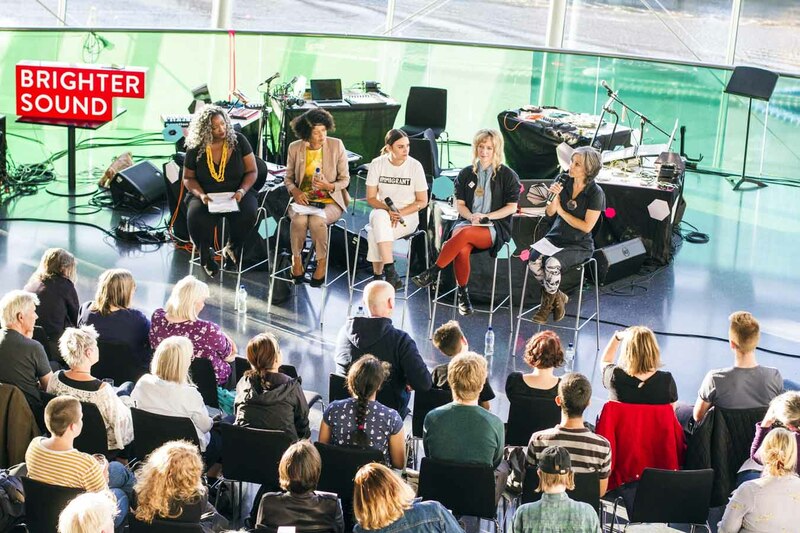 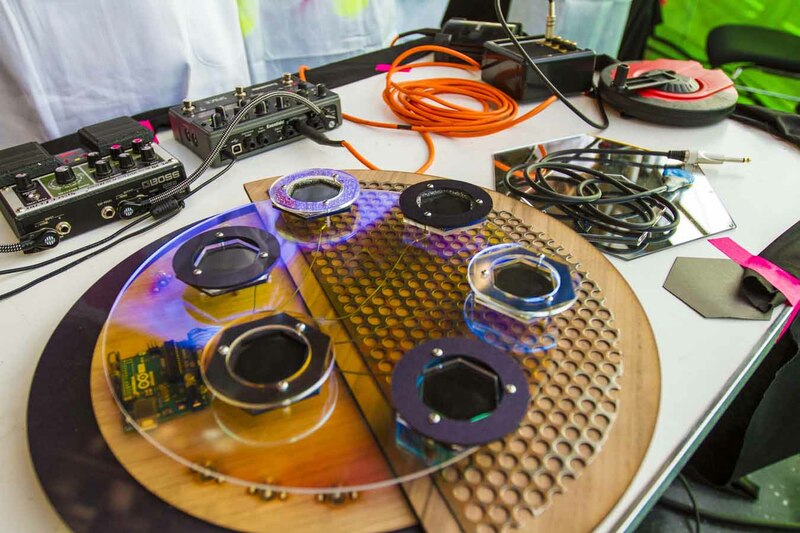 Following four days of music-making led by four of the North’s most exciting electronic artists, Afrodeutsche, Caro C, Mandy Wigby and Vicky Clarke, 10 young female music-makers performed an audio adventure featuring cutting-edge music tech and found sounds within the Sage Gateshead. 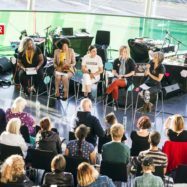 Before the performance Dr Anne-Marie Imafidon MBE (co-founder of the STEMettes) was joined in-conversation by musician and Mercury Prize nominee Nadine Shah, former engineer and MP for Newcastle Central Chi Onwurah and recent recipient of the Royal Society’s prestigious Michael Faraday Prize Professor Danielle George MBE.